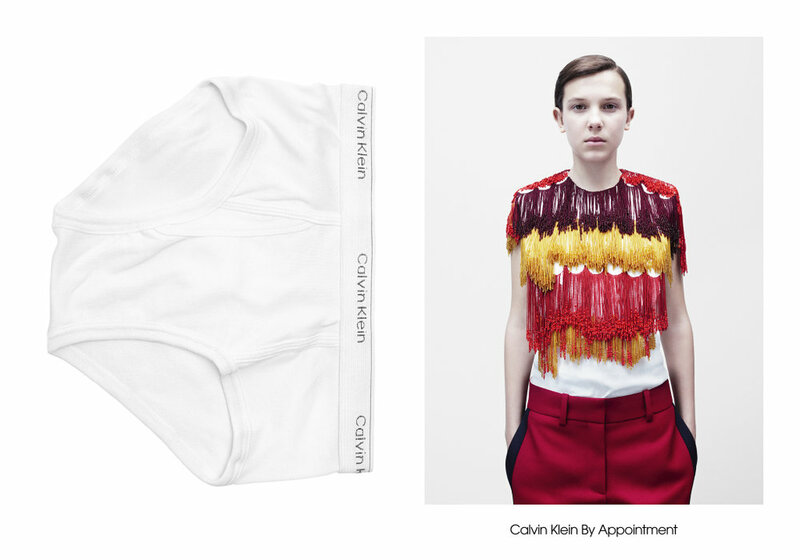 In the midst of men’s Paris fashion Week Calvin Klein and newly appointed designer Raf Simons revealed just a tip of the iceberg. “By Appointment” is the first collection by Simon’s hand made public. It celebrates women, all women, and has the objective to make the brand accessible to all. 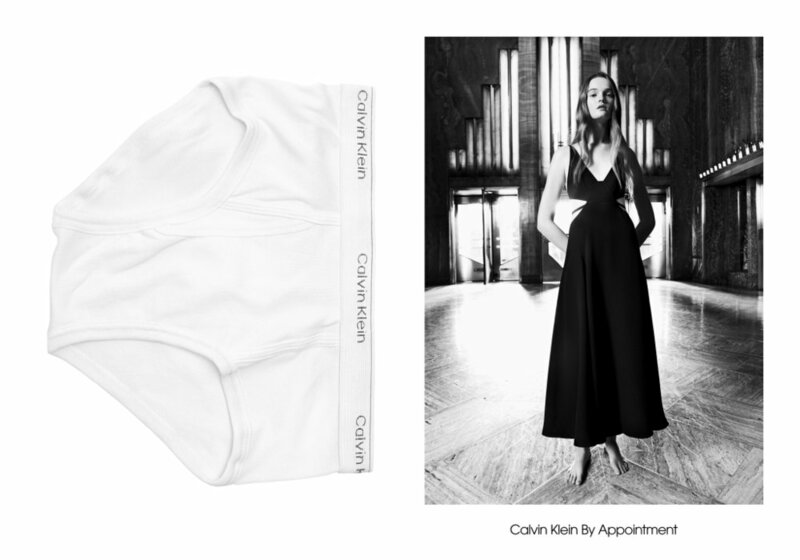 Hence the campaign images, that are paired with the brands iconic underwear. Quiet and delicately the drop of the collection happened. In the same way they announced the collaboration of the designer and the brand, after months of speculation last year. Less is more, both parties understand that, and that might just be the thing that makes this partnership a graceful match. 14 looks, photographed by Willy Vanderperre and styled by Olivier Rizzo, that’s all we get, and that’s all we need.